A mere one and a half days in Germany left us hardly any time for feasting, but that doesn't mean we didn't treat ourselves. After expending about 798372 calories climbing to the top of Cologne Cathedral (over 500 steps just to get up there! ), the Manbacon and I agreed that a huge meal was entirely justified. So a huge meal was what we had. My dish - pork knuckle with fried potatoes and sauerkraut. It's like Germany on a plate. The pork was cooked to perfection, with the meat falling off the bone with only a tiny little bit of persuasion from the fork. I still dream about the crackling sometimes. In fact, I was so in love with it I was tempted to lie and tell the Manbacon it was horrible, so I wouldn't have to let him try any. His dish - currywurst and chips. Pretty tasty as far as currywurst goes, although I think my pork knuckle definitely won this round. 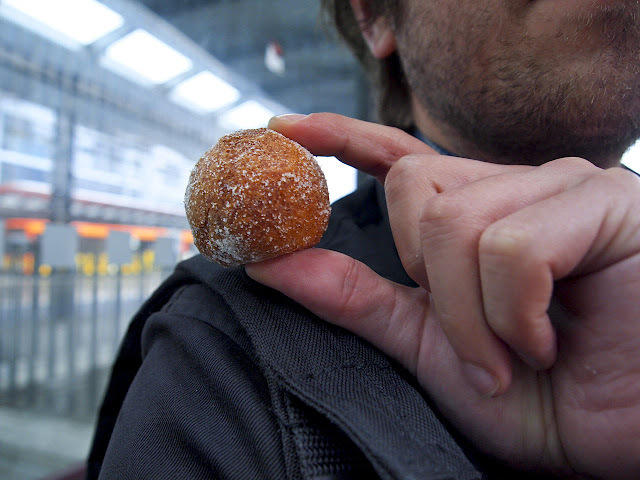 For breakfast the next day, some delicious quark-based pastries from a bus station bakery. I can't remember what they're called, which really annoys me because I want to be able to replicate these at home! 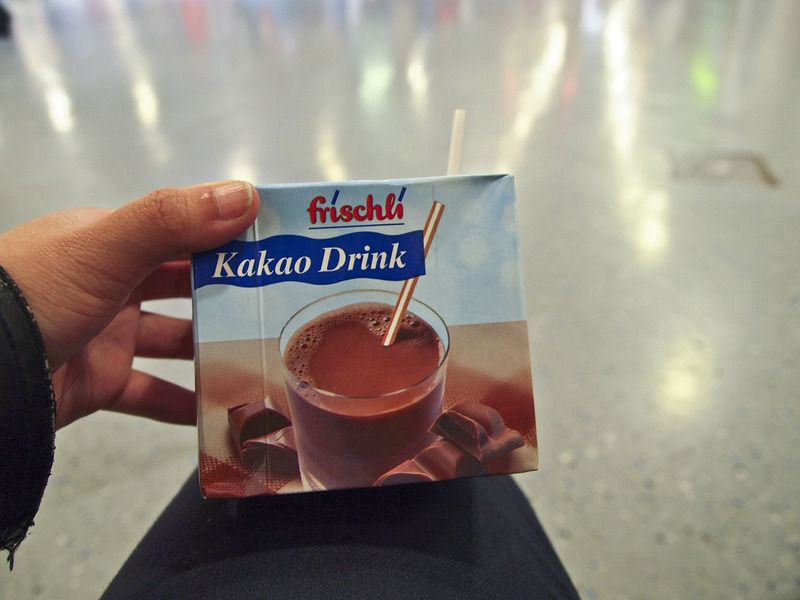 And then, we got given a free box of Kakao Drink each, while waiting in the rain for our bus to the airport (Flughafen Frankfurt Hahn, where old planes go to die)! Thank you Germany!